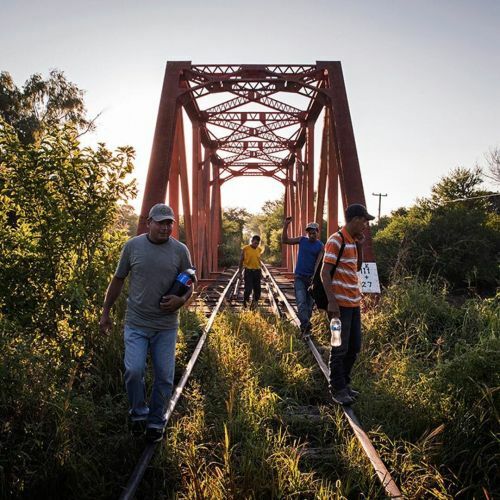 "Migrants walked north in Chahuites, Mexico, one of the most dangerous areas along the southern migrant trail. In the past 15 months, at the request of President Barack Obama, Mexico has carried out a crackdown on #refugees fleeing violence in Central America. The United States has given Mexico tens of millions of dollars for the fiscal year that ended September 30 to stop these #migrants from reaching the United States border to claim asylum. @katieorlinsky took this photo while on #nytassignment for #sundayreview." By nytimes on Instagram.